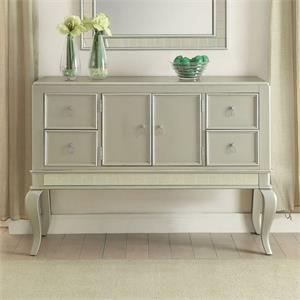 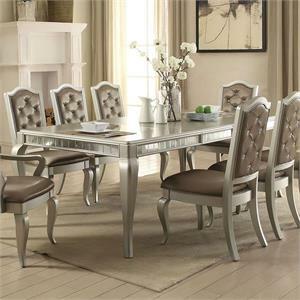 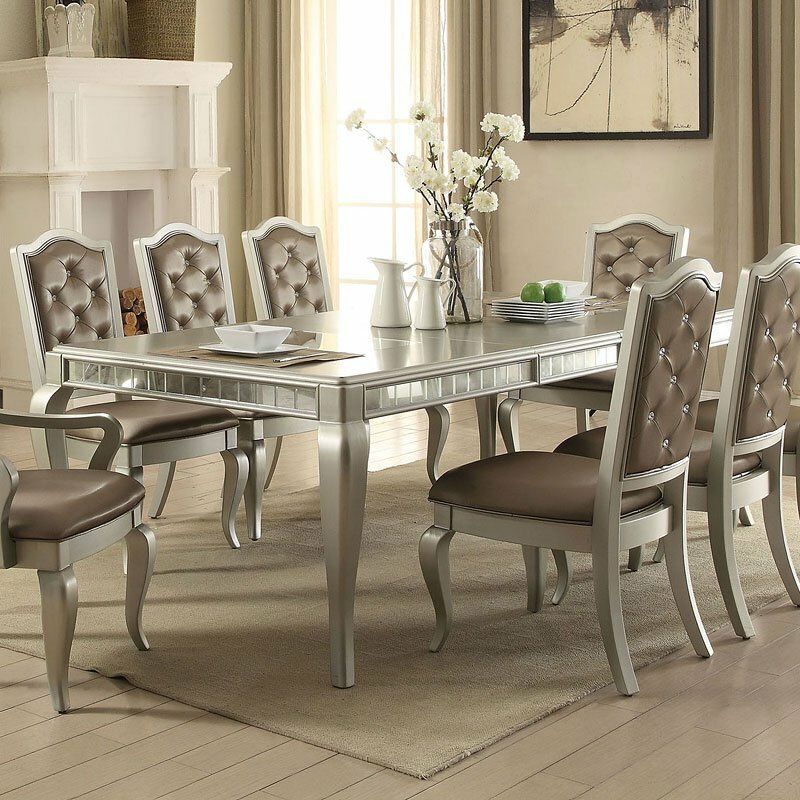 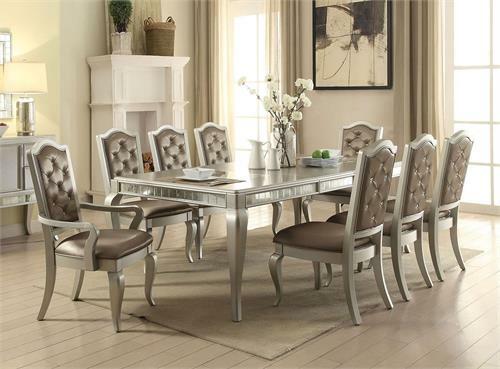 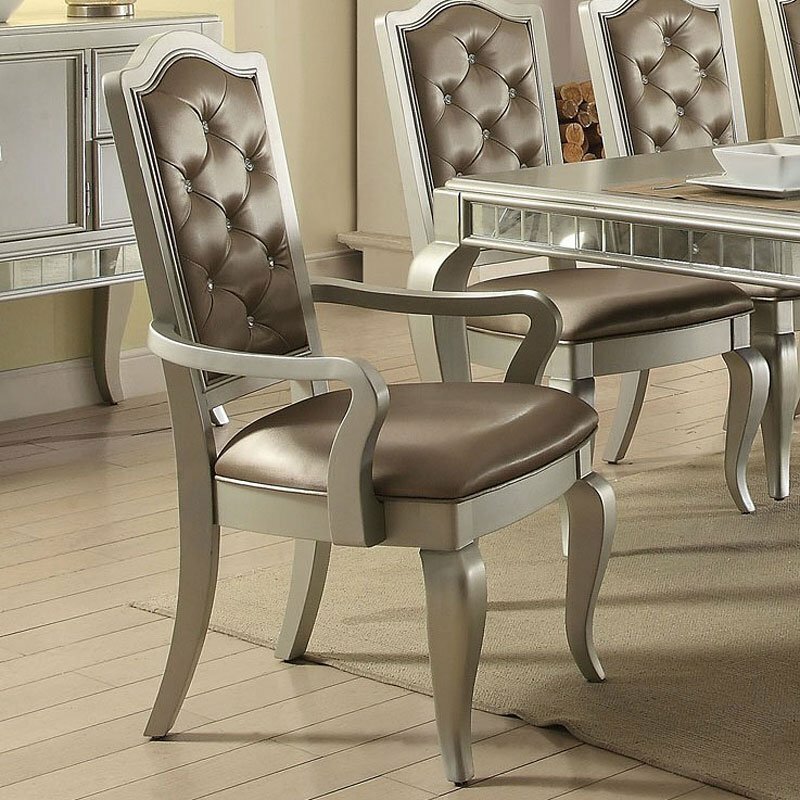 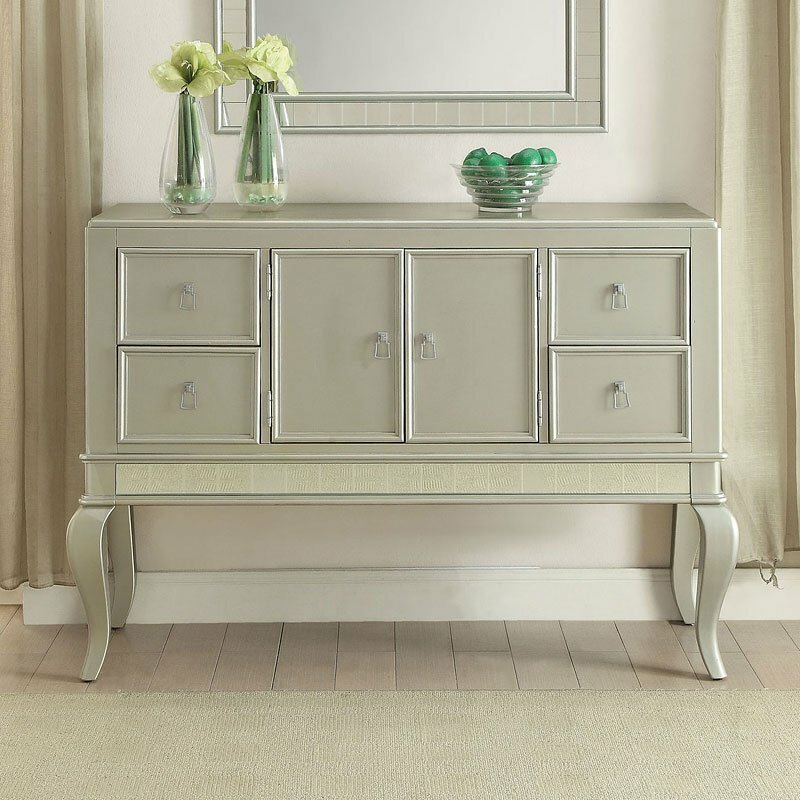 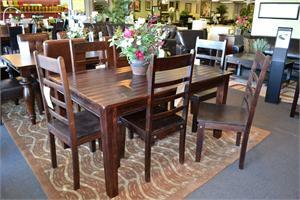 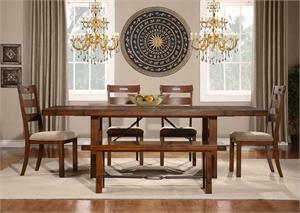 With gorgeous details, Francesca Dining Room Collection by Acme Furniture offers clean lines with contemporary design. 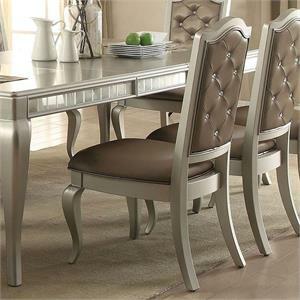 A champagne finish with mirror trim inlay apron, mirrors inlay on the table top, crystal-like button seat back and cabriole leg make an impressive statement. 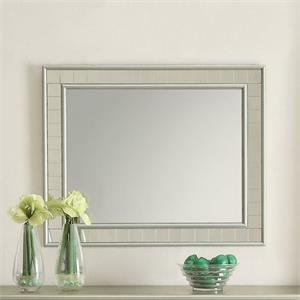 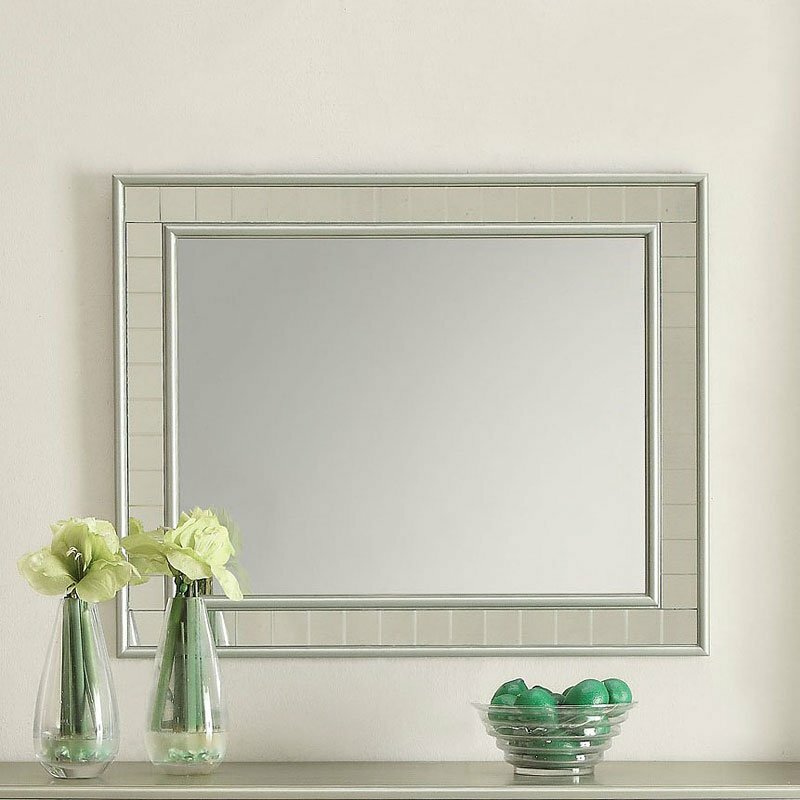 Matching server and mirror reflect all carefully selected design that will be the showpiece of your dining room.